Confidentiality: How important is it when selling a business? Home/Blog/Confidentiality: How important is it when selling a business? In this day and age of Facebook, Instagram, twitter and other social media forums it seems like everyone is posting something about themselves for people to see or read. And although this might be acceptable in a person’s personal life, when it comes to selling a business, confidentiality is imperative. In real estate, the objective is to let everyone know a property is for sale. With a business sale it is just the opposite. Concerns can arise if your employees, customers, vendors, landlord, banker and other people involved with the business know it is for sale. Your competitors can also use this knowledge to possibly dip into your customer base. Employee concerns about a business sale can have the most devastating effect on a business’ operations. Good, trained employees are most often the lifeblood of a business. To lose a key employee or employees because they have concerns about a new owner coming into the business can upset operations. And oddly enough, a buyer is just as concerned that the trained employees will stay on once the business is sold. So although sometimes it may feel disingenuous to not make an announcement about your plans to sell, it really is best for all parties involved. Other affects about broadcasting a business being for sale can be customer retention. Say you owned a day care and the parents started to hear it was for sale. Do you think this would cause a few parents to look at other day cares that they felt were more stable? What if you have an exclusive agreement with a vendor, but now they learn you are for sale. Would this affect your long-term exclusivity? What if your line of credit is up for renewal and your banker hears you are thinking of selling your business. Would they extend the line? All these factors will influence you business operations while owning the business, prior to selling it, and can also affect the final sales price. So what is the course of action? First, don’t make any announcements about your intentions to sell your business. There will be a time and place for the announcement, and typically it is directly after the sale has closed. Until a seller has a check in their hands, anything could possibly derail a sale. To make any announcement prior to closing is a poor plan for the reasons already presented. 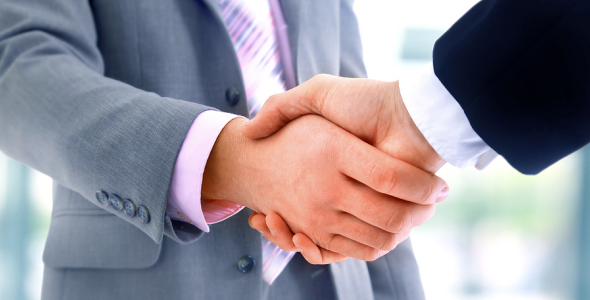 Secondly, employ an experienced business broker to help you sell your business. An experienced broker knows how to maintain confidentiality while marketing and exposing the business opportunity to hundreds of prospective purchasers. An experienced broker will only advertise an opportunity in a way that won’t specifically identify the business. They will qualify prospective buyers, require them to sign a Non-disclosure agreement, and initially only release a summary overview of the business, while protecting the business’ detailed financial information. Lastly, an important thing to remember is the prospective purchaser has the same interests as the seller. He or she wants the trained employees to stay on with the business. They want the same customers to patronize the business. They want to take over vendor relationships, and they don’t want any competitors to get a foothold on your customer base. Hiring a business broker and maintaining confidentiality will reduce your headaches and help maximize the business’ sales price.